Samuel Fleischacker is a Professor. He studied at Yale University, receiving his PhD in 1989. He works in moral and political philosophy, the history of moral and philosophy,and the philosophy of religion. Among the issues that have particularly interested him are the moral status of culture, the nature and history of liberalism, the relationship between moral philosophy and social science, and the relationship between moral and religious values. 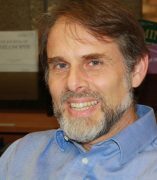 His publications include The Ethics of Culture (Cornell, 1994), On Adam Smith's Wealth of Nations: A Philosophical Companion (Princeton, 2003), A Short History of Distributive Justice (Harvard, 2004), Divine Teaching and the Way of the World (Oxford, 2011), Kant's Questions: What Is Enlightenment? (Routledge, 2012), and The Good and the Good Book (Oxford, 2015). Professor Fleischacker has been a Fellow of the Center for Advanced Study in the Behavioral Sciences at Stanford, the University Center for Human Values at Princeton, and the Institute for Advanced Study in the Humanities at Edinburgh University. He taught previously at Williams College.